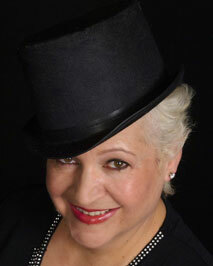 Rose, a veteran cabaret and jazz singer has enjoyed success pleasing audiences as a singer/entertainer for over three decades. She has performed at well known cabaret venues in NYC including “Don’t Tell Mama”, The Duplex, Ted Hooks Backstage and Rose's Turn to name a few. In addition, she was a featured singer on tour with the Classic’s IV (" Trace's. Spooky, Stormy ") back in the early 1980’s. Her clear and clean vocals have been noted on several of “Afric Simone’s “ albums recorded back when disco was hot and while she was touring in Berlin. She is a native New Yorker and holds degrees in both music and theatre from Wagner College in Staten Island and a Masters Degree from Fordham University , Lincoln Center. Through the years she has been fortunate to have studied with some formidable vocal teachers such as Marni Nixon and Marge Rivington. Rose took a brief hiatus to raise a family and is back with a vengeance. She is finding it very satisfying paying homage to the Great American Songbook with the Full Count Big Band. The development of her unique style is the result of a lifetime of musical influence from many genres.